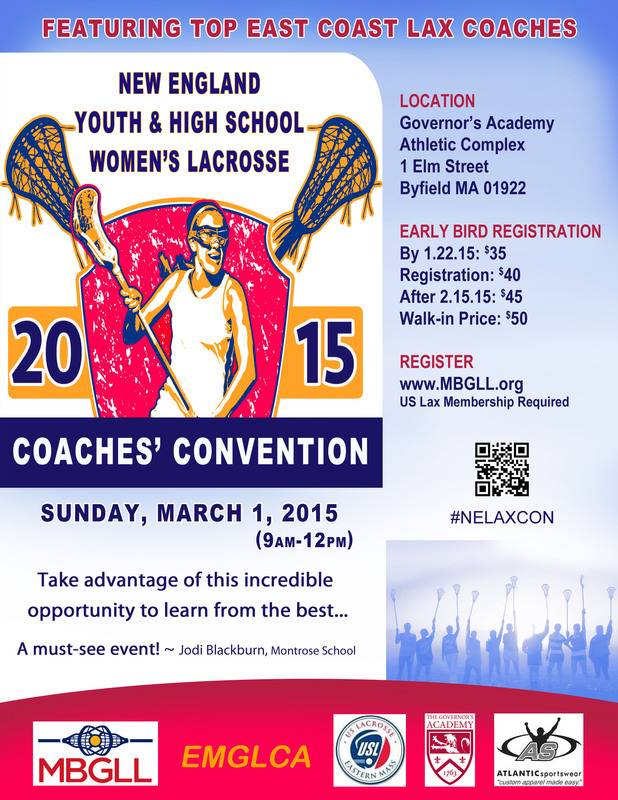 We are pleased to announce that the New England Youth and High School Women's Coaches' Convention is scheduled for Sunday, March 1, 2015 from 9a - 12p at Governor's Academy (Field House). Register on www.mbgll.org under "individual registrations" or click NELAXCON. If you would like to register as a vendor, please go to mbgll.org and click on "individual registrations" or Vendors.